Do you struggle with any of the problems below? If so, you’ll want to listen to this interview with Scott Dinsmore. There are a lot of people out there who want to make a difference, but don’t know where to start. Most people aren’t even sure they have a passion, much less if they can make a living off it. This is what Scott and I spend around 28 minutes talking about. It is possible for you to discover your passion and get paid to do what you love. 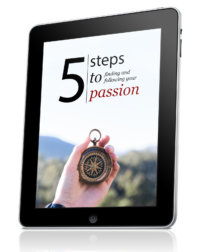 Scott recently launched his course, How to Live Off Your Passion, which we spend some time talking about at the end of the interview. I’ve gone through the course myself, and I very rarely recommend any course or program, but I really liked Scott’s course, because he gets you to take action through exercises and practical tips, which is key if you want to get results. If it’s something that resonates with you, then go ahead and get it, but make sure you go through the exercises and take action, because without implementation, nothing really matters. Just listened to the interview – great way to begin my day! You really can’t go wrong with an injection of passion straight to your bloodstream in the morning. I’m listening to the interview now. I love the way Scott talks about passion and how important it is to the work people are doing. This is a crucial way to begin to fix the corporate culture we live in. I’m particularly glad he’s dealing with narrowing down ONE passion. Thanks for sharing with us! Article featured on the homepage of http://www.CloverQuotes.com . Enjoy! I love this!! Very insightful interview! Thank you so much for sharing!